Everyone knows that the dog is man’s best friend. A few try to argue that the cat is better, but we’re not talking about which animal is best at scratching up your furniture or meowing incessantly about going outside until it changes its mind. We’re talking about life-long companions and dearly trusted animal friends! Of course, the trouble with any animal companion is that there is a sad limitation on their life span. Then again, that can be said about all of us. Which is why it is a great fact that a skeleton dog is an undead man’s best friend! Such is the case of Bones, the Hungry Hound Skeleton Dog who has traveled all across the pet graveyard just to come back to you. With a jaw that can open and close, this hungry little bone pupper will be an adorable addition to any of your holiday décor. And, we can promise that he’s quite house broken and won’t even gnaw on your guests! Like the other pieces, this one is well made and sturdy. He's going to look great when posed with the others. They're going to make a wonderful display. 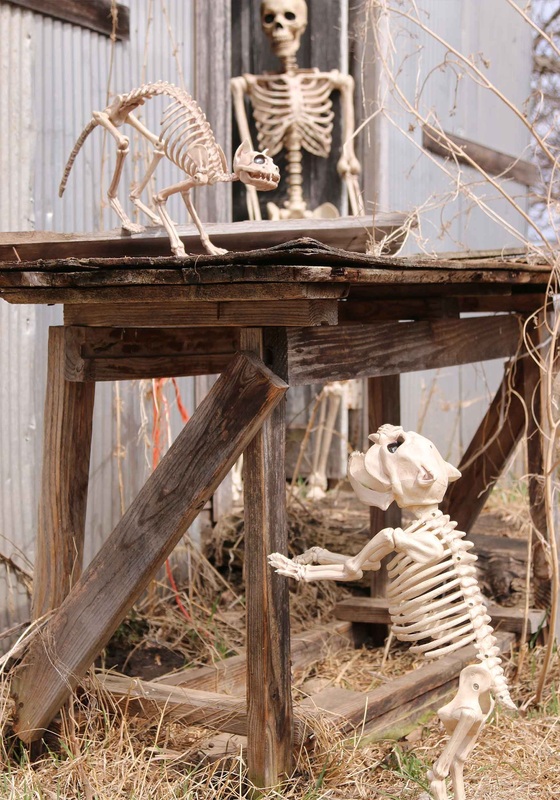 We bought this Skeleton Dog and three life size human skeletons. We love all of them and plan to buy more next Halloween. 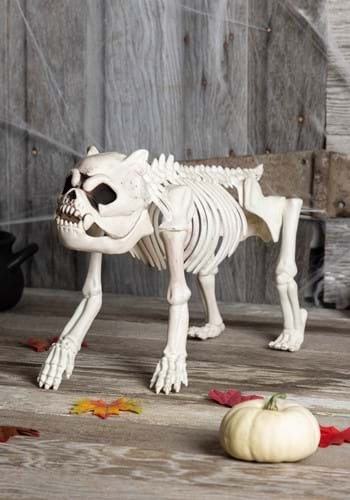 I actually got this to display in our pet cemetery, just to sit out all the time. I love it!!! !